Francis E. Griggs, Jr., D.Eng., P.E., L.S., Dist.M.ASCE was formally inducted as a Distinguished Member of the American Society of Civil Engineers in October 2011 during the 141st Annual Civil Engineering Conference. Distinguished Membership is the highest award the Society may confer, second only to the title of ASCE President. Members or Fellows elected to this prestigious and highly selective list have attained acknowledged eminence in a branch of engineering or its related arts and sciences. Col Stephen J. Ressler, Ph.D, P.E., Dist. M. ASCE is recognized for the advancement of engineering education and outreach through innovative use of information technology tools, and through the promotion of teaching improvement among civil engineering faculty. As a faculty member at the U.S. Military Academy, Colonel Ressler conceived and developed computer software which evolved into, and formed the basis for, the West Point Bridge Design Contest. Col Ressler was inducted as a Distinguished Member in 2005. David T. Biggs, P.E., Dist. 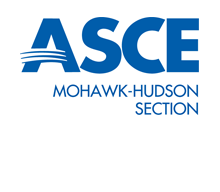 M.ASCE is recognized for his advancement of structural masonry engineering through innovative code development and engineering design and restoration, and the sharing of this knowledge through service and contributions to the public. Mr. Biggs has made major contributions to codes, standards and guidelines in the area of masonry design and construction. Mr. Biggs was inducted as a Distinguished Member in 2005. 2008 Francis E. Griggs, Jr.